The seventh World of Warcraft expansion, Battle for Azeroth, has become the fastest selling expansion in the franchises history, Activision Blizzard has announced. 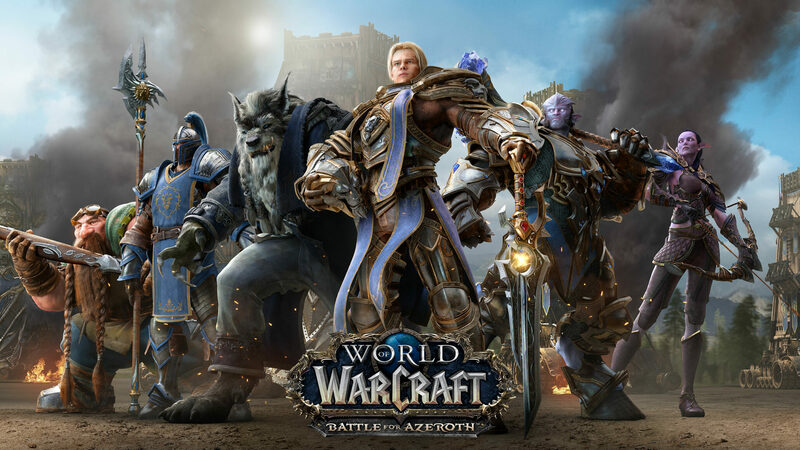 More than 3.4 million copies were sold on its launch day earlier this month, thereby beating the sales records set by the previous World of Warcraft expansions, including the Legion expansion from 2016. Battle for Azeroth was released earlier this month on August 14. Today’s launch signals the start of a new era of all-out warfare between the Alliance and the Horde, as players around the globe set out on a vital mission to ensure that Azeroth’s future belongs to their faction. Defenders of the Alliance are called to the kingdom of Kul Tiras, ancestral home of Jaina Proudmoore, to enlist the aid of their legendary navy, while champions of the Horde must seek allies in the distant empire of Zandalar, home of the ancient Zandalari trolls. As part of the campaign ahead, heroes will clash for critical resources in myriad Island Expeditions; draw upon the strength of Azerite, lifeblood of the planet, to unlock new powers using the Heart of Azeroth artifact; prepare for a massive confrontation on the Warfront of Stromgarde; recruit new Allied Races to bolster their faction’s cause; and much more.